Stay on top of what’s going on with Internet Calendars! This eM Client 7 feature allows you to see the schedule of your favorite club’s game next to your work schedule. 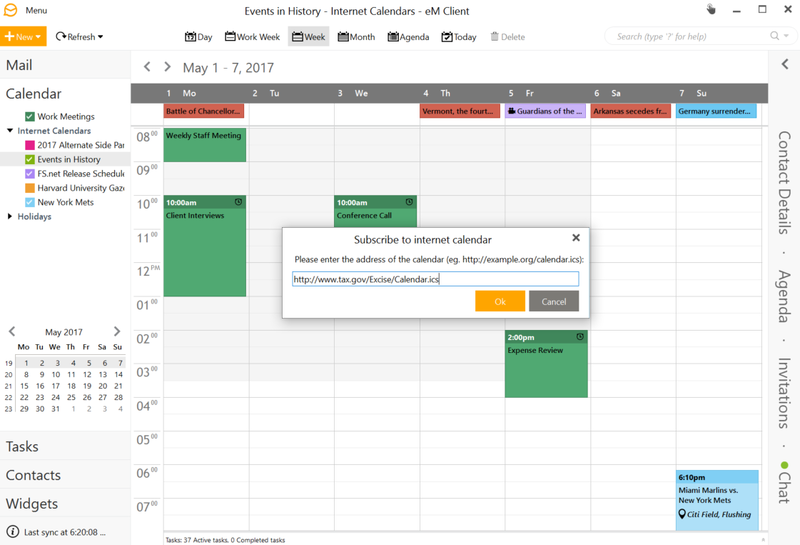 Subscribing to internet calendars (also called iCals or iCalendars) in eM Client 7 allows you to do precisely this. 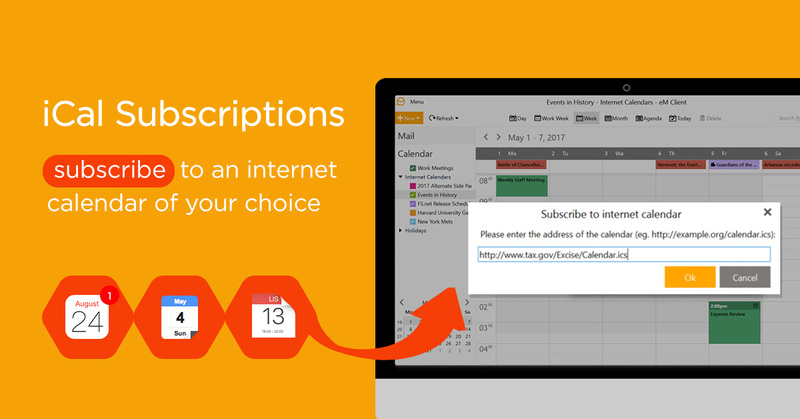 You can easily subscribe to an internet calendar of your choice in Menu > Tools > Subscribe to Internet Calendar. Simply copy an address of the calendar into the address field and you are ready to browse the calendar in the Internet Calendars section of your Calendar.